The current Building Regulations minimum guide for loft insulation thickness is 270mm. 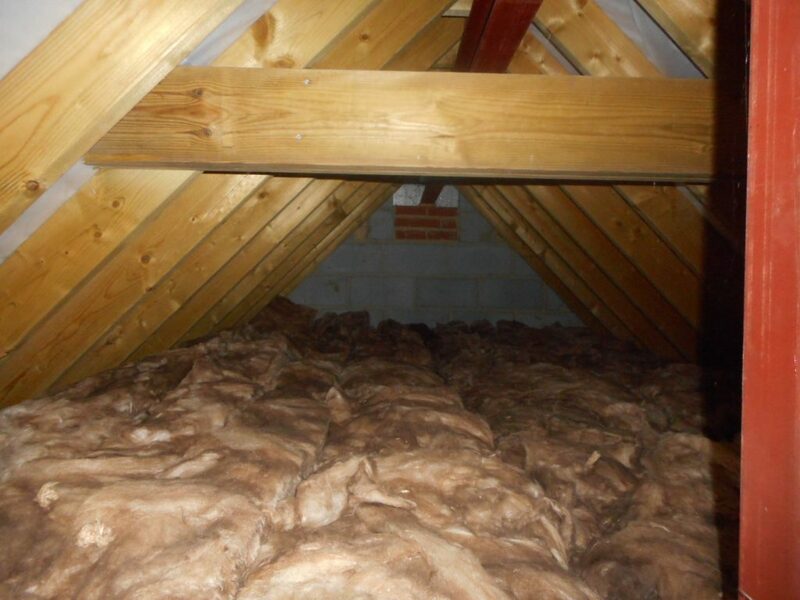 Many older properties do not comply with current building Regulations for loft insulation. From upgrading to the current guide of 270mm, homeowners on average can expect savings of around £20 per year on energy bills and save approximately 55kg of CO2 per year. As you can see from the photo below, this house is very well insulated, exceeding the current guidelines. This photo was taken in Warlingham, Surrey whilst conducting a Full Building Survey.